20 year old Francisco Alves will be flying the portuguese flag on the prestigious Rip Curl Padang Padang event, with some of the best lefts and tubes of the world. Francisco spoke to SurfTotal about his expectations for this event. You are now officially a member of Rip Curl’s A team as a free surfer, when did that happen? The agreement came last year. Me and Rip Curl decided to make a free surfer contract, and I was willing to discover new places and surf all around the world. 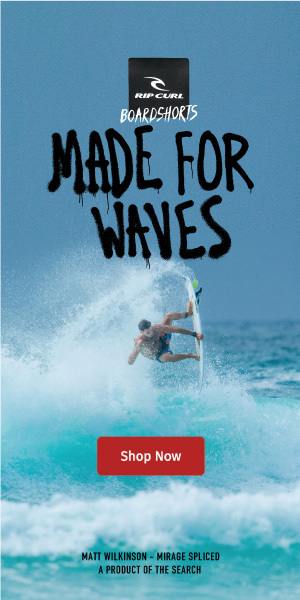 I’ve been competing, but my priority has been making videos, and I had the privilege of being invited for this Rip Curl event, that is one of the most prestigious waves in the world, and I’m happy to represent my country. Have you ever surfed Padang Padang? I believe that Padang is a pretty dangerous wave, but it’s beautiful and it will be amazing to surf against some of the best in the world. I’m really stoked, and I’m going for the win! True, I’ve been there with Gonçalo Ruivo and a group of friends. I got amazing tubes, 2,5 meter waves, right at my first day. I’m feeling ready, Portugal has been flat so I’ll be going to Bali this wednesday, and I’ll have time to adapt. I’ve got really good boards for tubes.